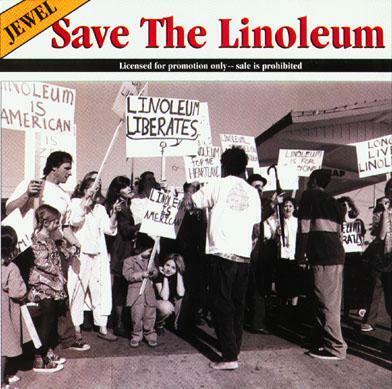 Save The Linoleum is an Atlantic Records 7 track promotional release with live recordings and demos. It's an extremely rare find now-a-days, but BEWARE. There are many fakes being sold out there. They are easy to spot, as the artwork is easily seen as being re-produced (the original is sleek and slick) and many of the fakes have more than the seven tracks on them.